Mother’s Day occupied most of the library kids. We were down to Harper and Danny and Zion. Some would say that we had kids sufficient. Those three are lively, funny, and always engaged. 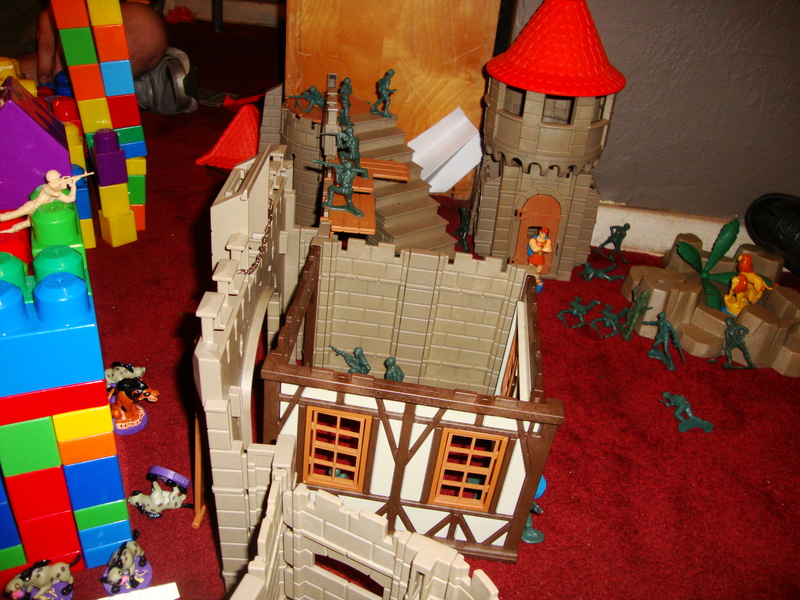 We did a big build with leggos, then constructed The Castle. Since it was acquired at Goodwill The Castle is missing parts. It can be viewed as a disappointment or a challenge. It was taken both ways by the kids and volunteers, depending on who you asked. In the yard we did a follow-up on the map, writing directions that led people around, ultimately reaching the Shiny Glass Glob (which was a bit disappointing). Miss Meg brought more healthy snacks. She is a caterer so our healthy snacks are pretty darned classy. We sorted books and planned for next week’s guitar recital–some of our volunteers need an audience. If they can keep the kids in their chairs they will pass the test as far as I’m concerned. In addition to the kids we had the guys who shoot hoops in the street. We always invite them in for cake, which helps us to become a more cohesive neighborhood. You’ve got to like an enterprise that says, “Hey, you want some cake?” on a weekly basis. We also set out a huge jug of ice water. Today they would have landed on their faces without it. We are a full-service library.